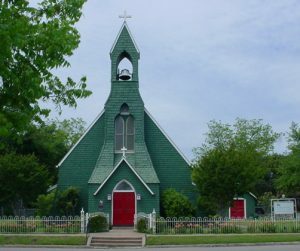 Established in 1950, the Episcopal Foundation of Dallas (the “Foundation”) was created to invest and administer the trust funds of the Diocese and its parishes and missions. The Foundation is overseen by a Board of Trustees comprised of members with expertise in finance, law, accounting, commercial and private equity investing, philanthropy and marketing. The Bishop of the Episcopal Diocese of Dallas serves as an ex-officio member of the Board. In addition to providing investment services, the Foundation offers direct financial support to the Diocesan community through an annual grant program. The Foundation is organized as Texas non-profit corporation and is qualified as a Section 501(c)(3) tax-exempt organization. The Episcopal Foundation of Dallas exists to strengthen and support faith communities by partnering wise investments with purposeful giving. The Episcopal Foundation of Dallas aspires to free our ministries – grow wealth through wise investments, lift financial burdens of those who serve, and maximize the impact of our shared missions. The Episcopal Foundation of Dallas also offers direct financial support to Episcopal organizations in the form of grants. The Foundation makes grants to churches, missions, and nonprofit organizations located within the geographic boundaries of the Diocese of Dallas for programs which support the mission statement of the Foundation. These grants are funded from the Episcopal Fund, the Foundation’s own unrestricted endowment. Since its establishment in 1964, has awarded over $3 million in grants to the Episcopal community. The Foundation begins accepting applications for its annual grant program in January. Everything you need to know about how to apply is available on this website, including the application. (See Grants). The Foundation is equipped with planned giving resources for creating lasting legacies by individuals and families. Our Foundation staff are available to speak with you regarding additional information. Contact Us here.